Employees can sign into their account and print their weekly or monthly schedule online – this ensures the employee is always viewing their most current schedule. In some cases, you may want to print a monthly schedule for one employee. This can be done from that employee’s “Employee Details” window. 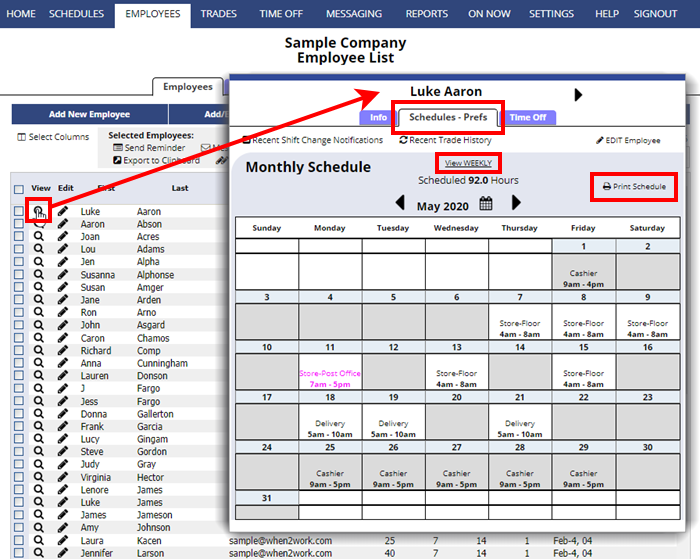 Also note that you can print individual WEEKLY schedules for all employees on separate pages using the By Employee Schedule View using the “Change Layout” link to choose that print option.